Julia's place is super cute! The design of the place is such that it feels quite spacious. We had a comfortable stay there and it was convenient to use the app to get in and out of the apartment. Julia was also easy to reach and responsive. Rewelacyjna komunikacja z właścicielką, fantastyczne zabezpieczenia, kolorystyka mieszkania, ogromna dbałość o klienta. Świetny kontakt z Właścicielką i bajer, z którym wcześniej się nie spotkałem, a który ułatwił check-in, check-out i sam pobyt - zdalnie sterowany klucz! Jeśli chodzi o lokalizację, to bardziej w centrum w zasadzie nie da się być. Właścicielka bardzo miła i pomocna, a mieszkanko/studio przytulne, czyste i ze wszystkimi udogodnieniami. Dużym plusem jest lokalizacja - wszędzie blisko. Bardzo dobre wyposażenie mieszkania, położone bardzo blisko starówki. Świetny kontakt z właścicielem. wszystko się podobało. Bardzo ładne mieszkanie. Polecam. 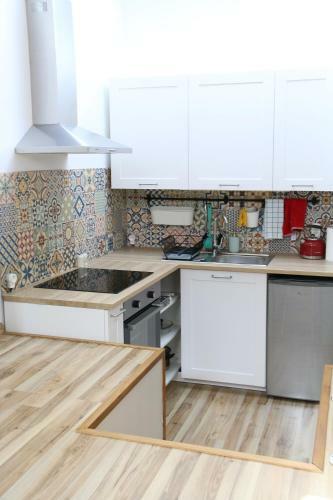 Apartament może nieduży, ale: 1. dobrze wyposażony (np. kompletna kuchnia, żelazko, suszarka, szybki internet itd. ); 2. czysty; 3. świetnie położony (w samym centrum). Lock in a great price for Attic Studio City Center – rated 9.6 by recent guests! 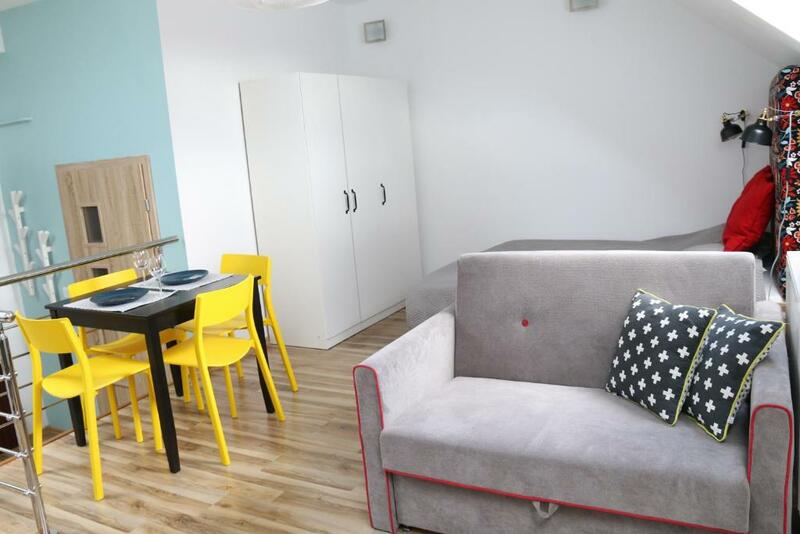 Located a 20-minute walk from University of Szczecin and 2 miles from Szczecin Maritime University, Attic Studio City Center offers accommodations right in the heart of Szczecin. The property, housed in a building dating from 1932, has free WiFi and is 2 miles from Waly Chrobrego Promenade. 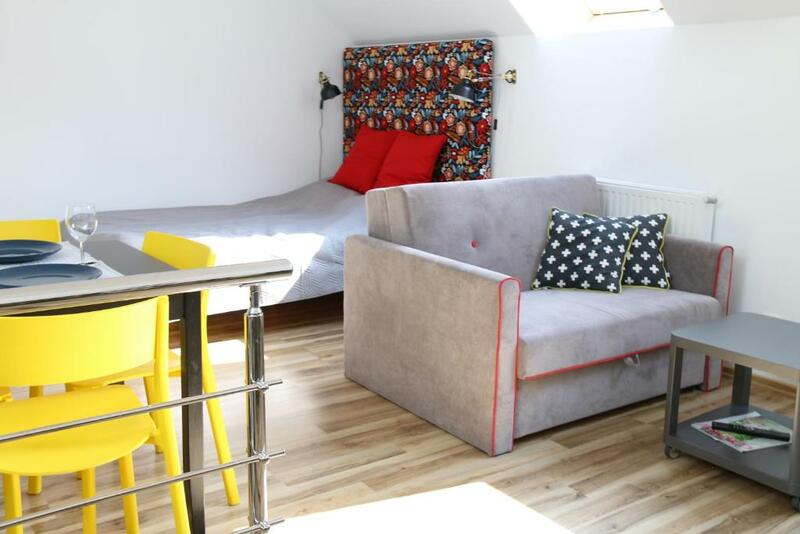 The apartment consists of 1 separate bedroom, 3 bathrooms with free toiletries, and a seating area. The apartment also provides guests with a well-equipped kitchen with an oven, a fridge and a stovetop, as well as a a hair dryer. Port of Szczecin is 2.9 miles from the apartment. Solidarity Szczecin-Goleniów Airport is 28 miles from the property. Srodmiescie is a great choice for travelers interested in food, restaurants and history. 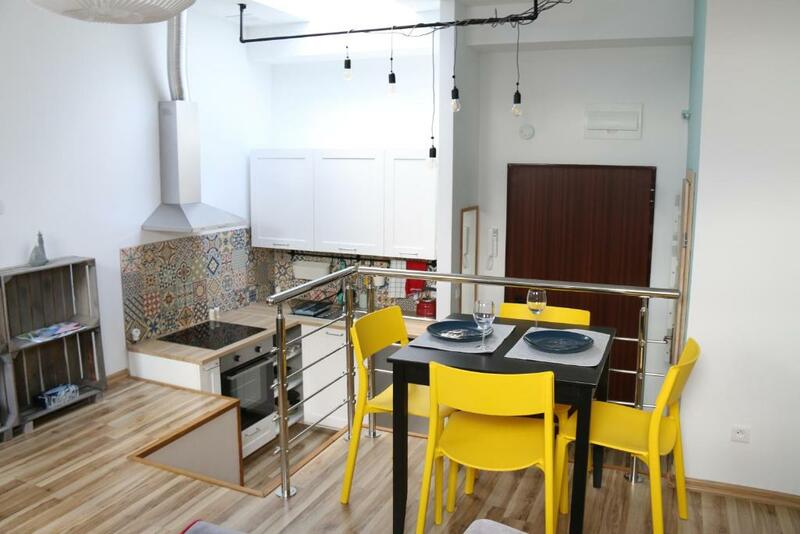 This property also has one of the top-rated locations in Szczecin! Guests are happier about it compared to other properties in the area. This property is also rated for the best value in Szczecin! Guests are getting more for their money when compared to other properties in this city. When would you like to stay at Attic Studio City Center? 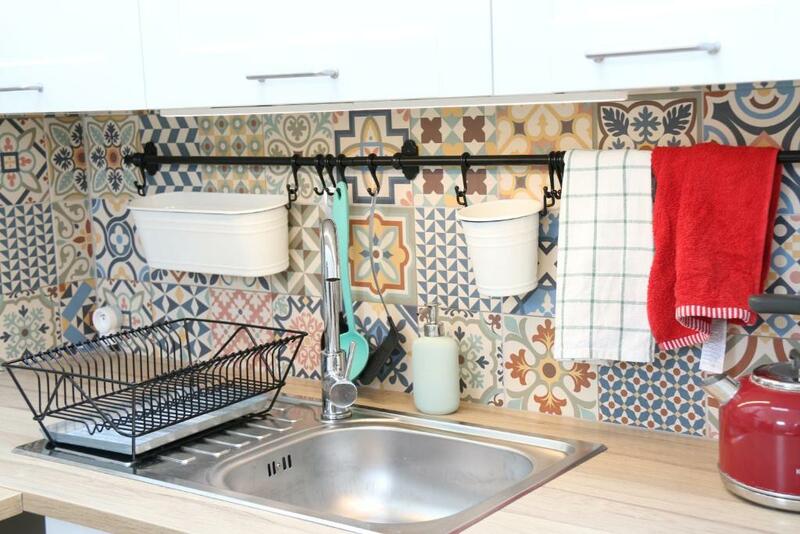 This apartment has a electric kettle, kitchenware and dining area. Public parking is available on site (reservation is not needed) and costs PLN 38 per day. 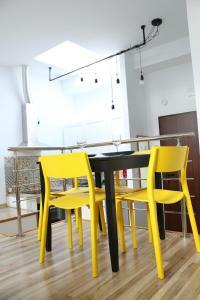 Charming place in the beautifully renovated building from 1932 in the centre of Szczecin. The studio is situated on 4th floor in the heart of Szczecin and it has everything you need to spend some time in our beautiful city. 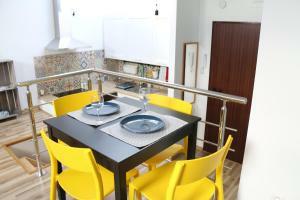 Studio is equipped with kitchen cabinets with oven and all equipment to cook. 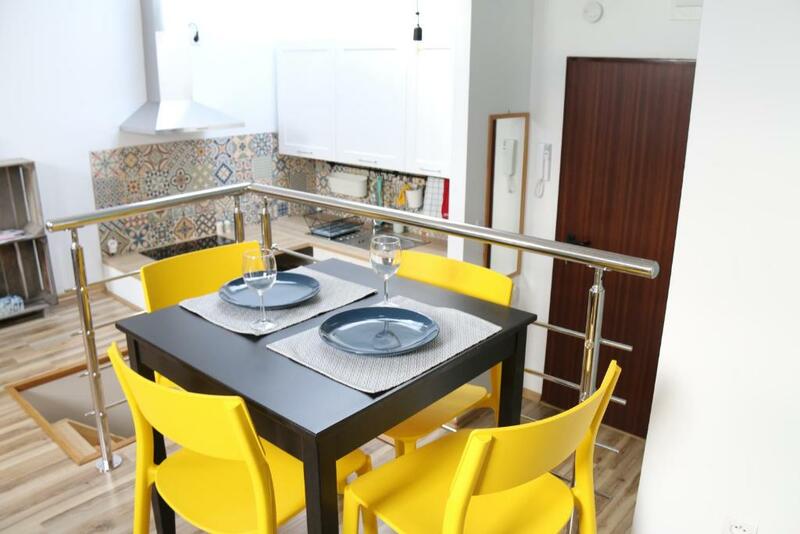 It has small but nice bathroom and nice double bed along with foldable sofa where 2 kids or couples can sleep comfortable. Szczecin is beautiful place and in my flat you can spend nice time after sightseeing or work. I am Julia and am the host of this studio. I will try to help you with directions to my place and feel free to contact me if you have any questions about Szczecin, places to see or directions in the city. 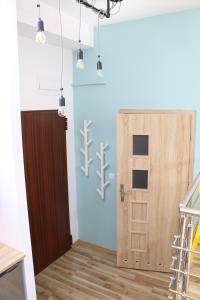 Studio is situated on 4th floor of the building and unfortunately, there is not elevator. But building is situated just in the centre of the city, so everything you need is in walking distance. Enjoy restaurants, cafeterias end shops which are just few minutes walking from the block. I found out that one small cafeteria just behind the corner, providing decent breakfast for 7 days a week. Many other clubs and restaurants are approx. 10-15 minutes walking. I will provide you with more information about the city or other places whenever you come. I recommend my studio. 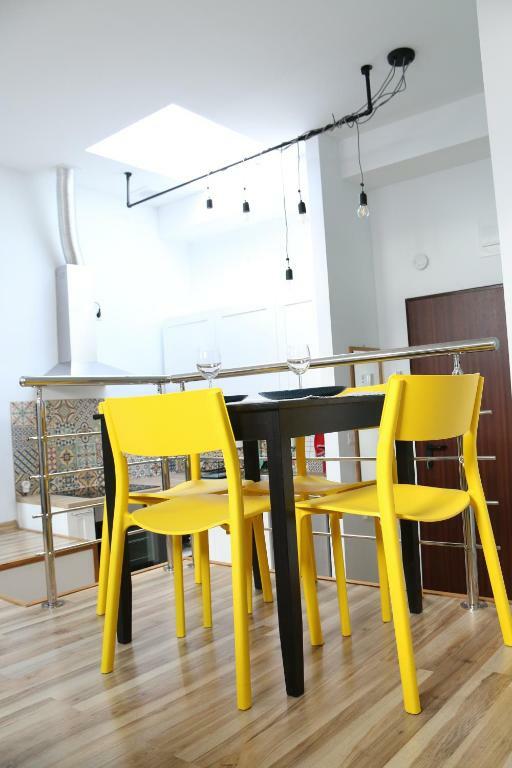 If you want to be in the centre of the city, to see Szczecin night life, spend nice time by decent price and you are not afraid to walk up on the 4th floor this is perfect place to you. Area Info – This neighborhood is a great choice for travelers interested in food, restaurants and history – Check location Excellent location – show map Guests loved walking around the neighborhood! House Rules Attic Studio City Center takes special requests – add in the next step! Please inform Attic Studio City Center of your expected arrival time in advance. You can use the Special Requests box when booking, or contact the property directly using the contact details in your confirmation. One of the most picturesque neighborhoods in Szczecin! I wasn't expecting quite that many steps to get up to the apartment! We arrived a bit later at night and there wasn't much available in terms of hot food available nearby, had to walk a bit to find a restaurant.